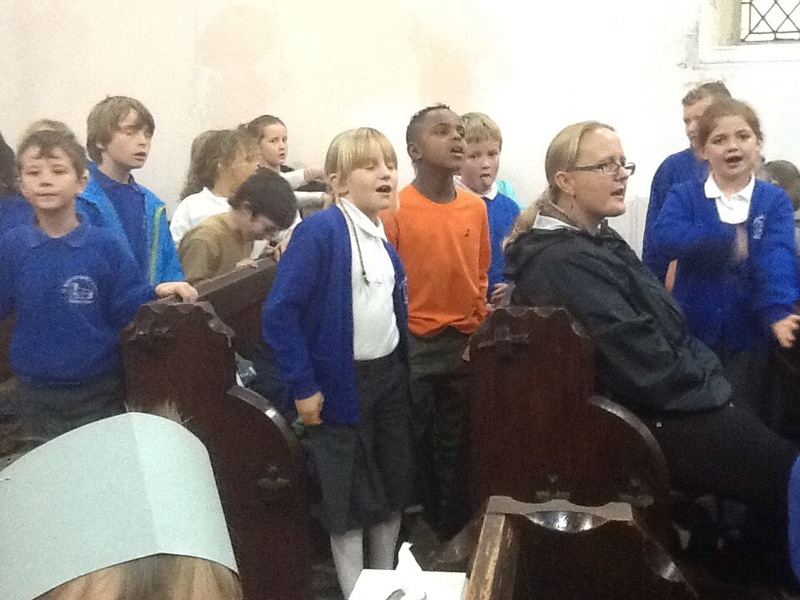 With a packed out church,our annual harvest festival was a huge success. 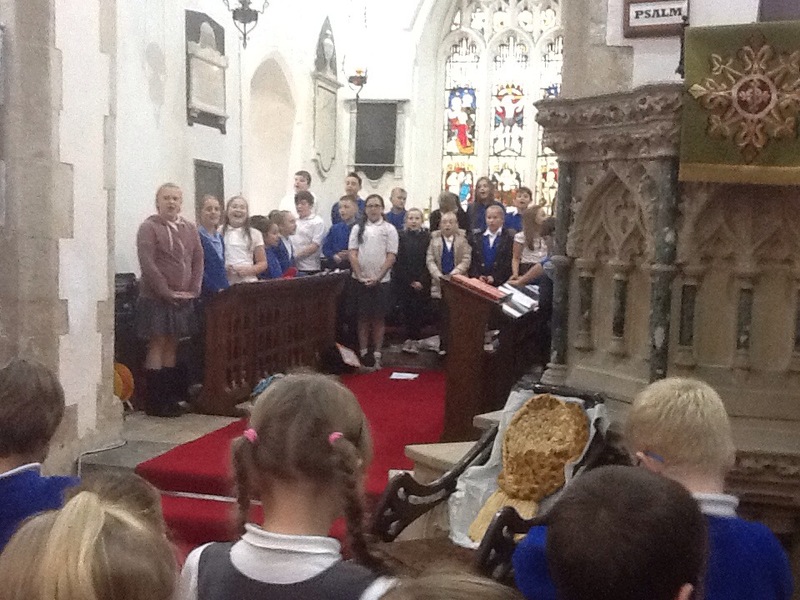 The children performed their songs, plays, poems and prayers beautifully. Job well done everybody! Today, in incessant Pendoylan rain, St. Nicholas played two fabulous games of football. The Year 3 and 4’s played on the All Weather surface and after initially falling behind 3-1, stormed back to record a 5-4 victory. Ellis Haines scoring the winning goal, following a couple of crackers from Zane Scanlon. 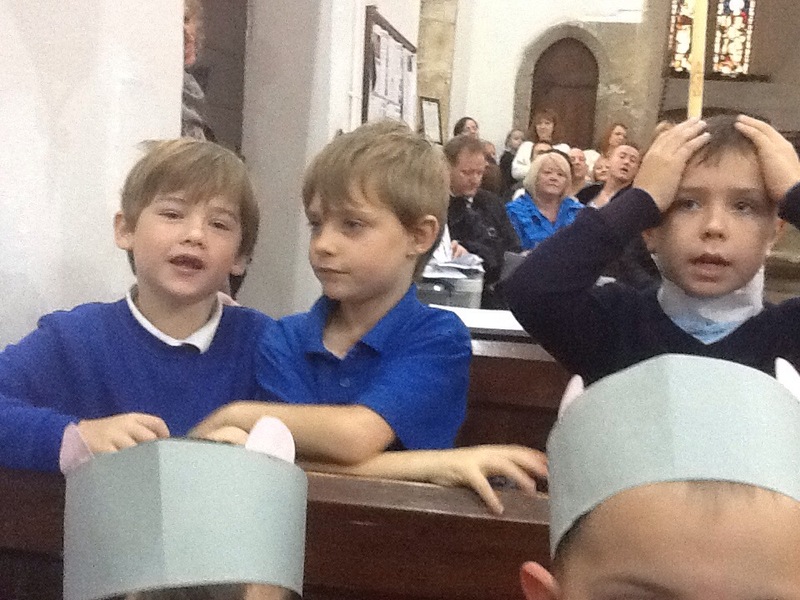 The children were overjoyed with their last minute win. On the rain sodden grass, the Year 5&6 teams had a barnstorming start, surging ahead 3-0 within the first 5 minutes. There subsequently followed a period of over-confidence, indecision and lack of communication; meaning Pendoylan reached half time with a well deserved 5-3 lead. Following a passionate team talk from Coach Great and his assistant Mr. Parsons and a tactical switch of Mackenzie and Joe from striker to defender, the confidence and cohesion returned in the second half. Great play on the wings by Mackenzie and Alex, was complimented by some rugged defending from Joe, Ben and Elliot and purposeful tracking back from Ieuan and Joshua. This allowed Jacob and Nicholas to score some cracking goals, against a tiring Pendoylan defence. 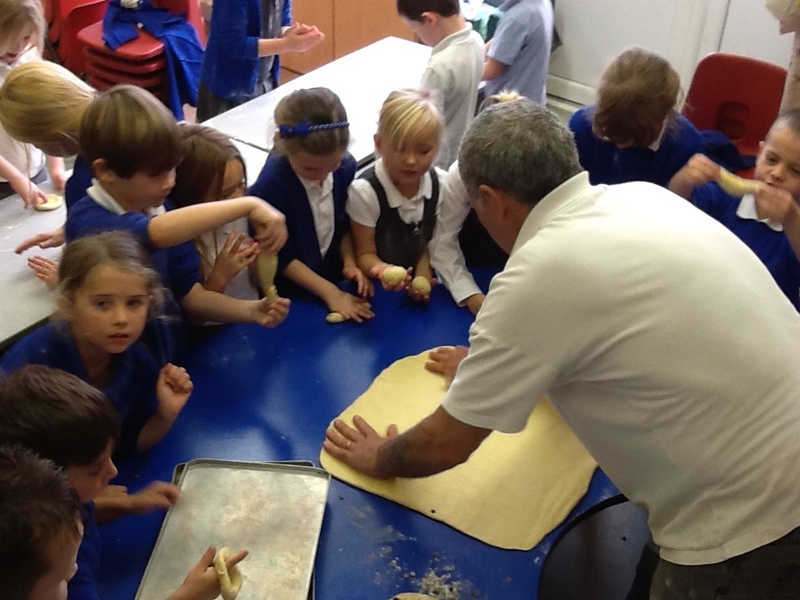 With our new found baking skills and our harvest festival coming up on Friday. 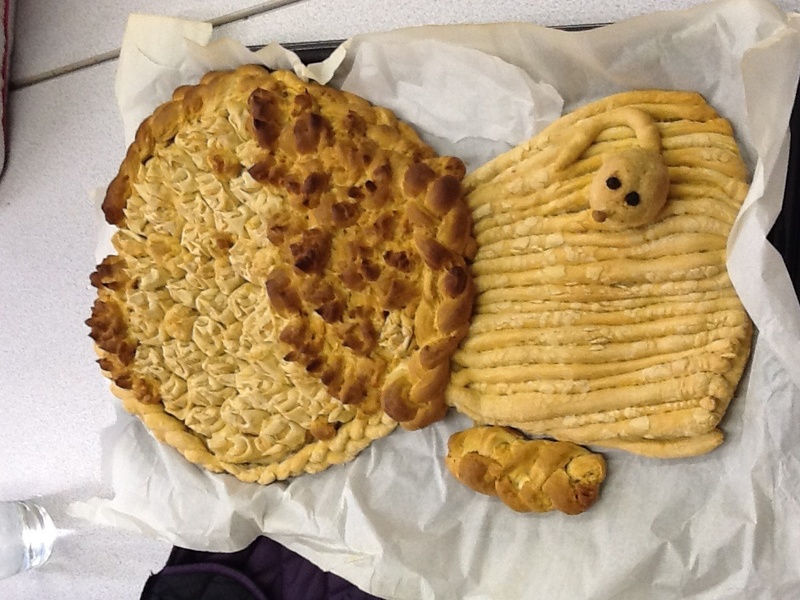 We decided to rise to the challenge of creating the time honoured harvest loaf. 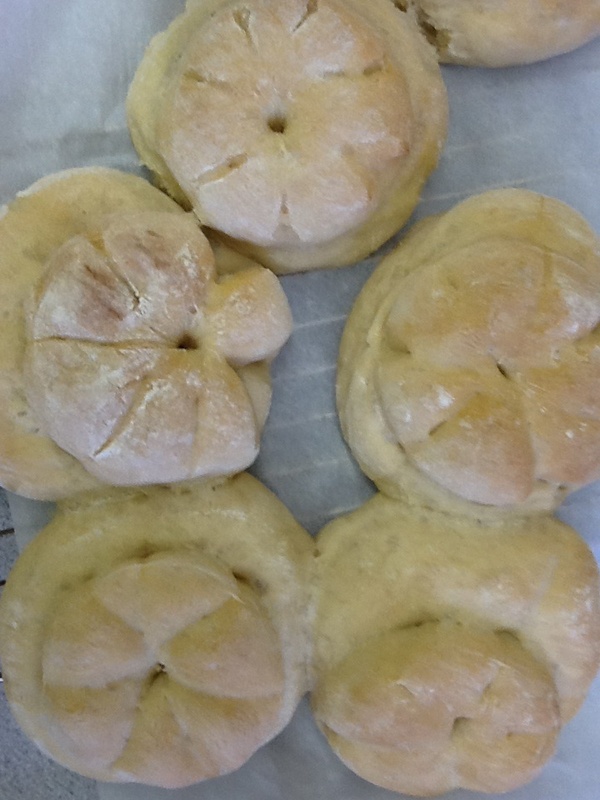 Using the left over dough from our rolls and buns we set to work…….a pretty good job too. Even if who say so ourselves! The wait almost killed us. 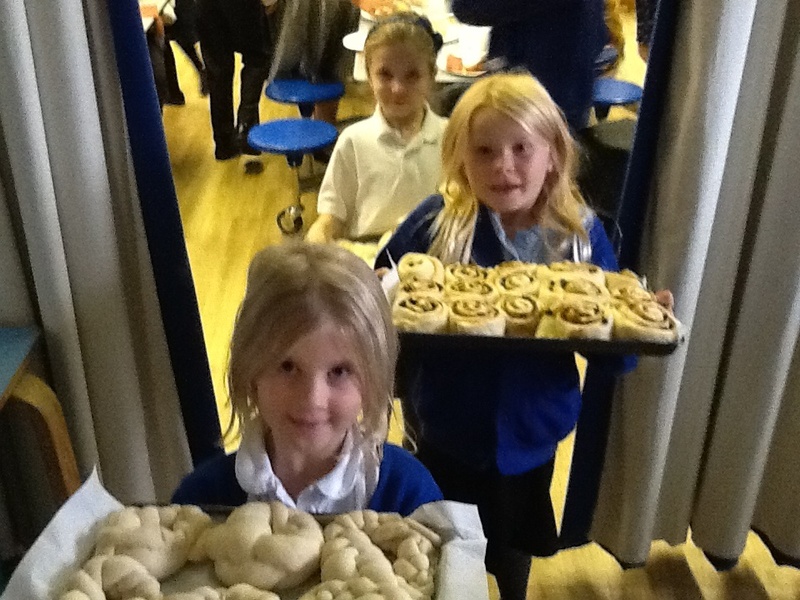 As the delicious smell of baking bread and buns wafted through the school, we waited, though not very patiently. When the buns were done, we coated them in glaze and waited some more. Soon the hard work had paid off and we all tucked in. Mmmmmmmmmmm yummy! A whole host of goodies and treats ready for the oven. 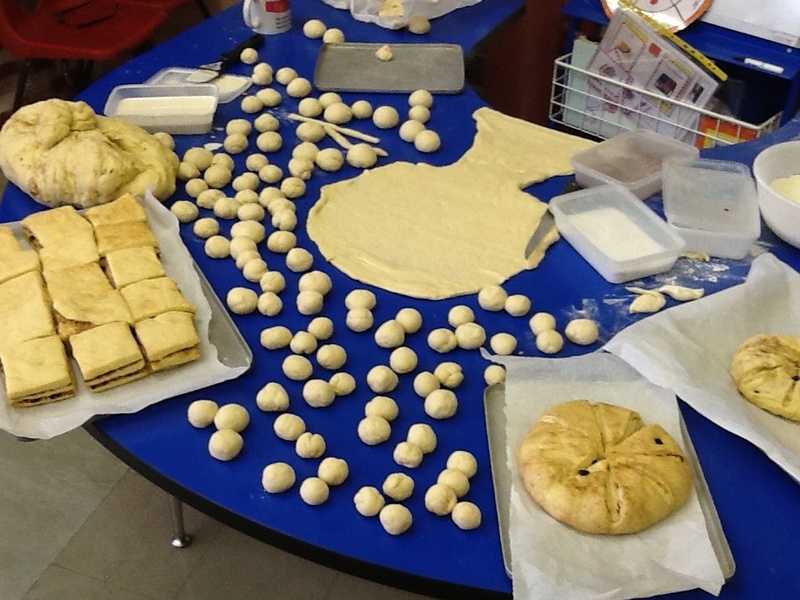 Our classroom by now is smelling delicious. 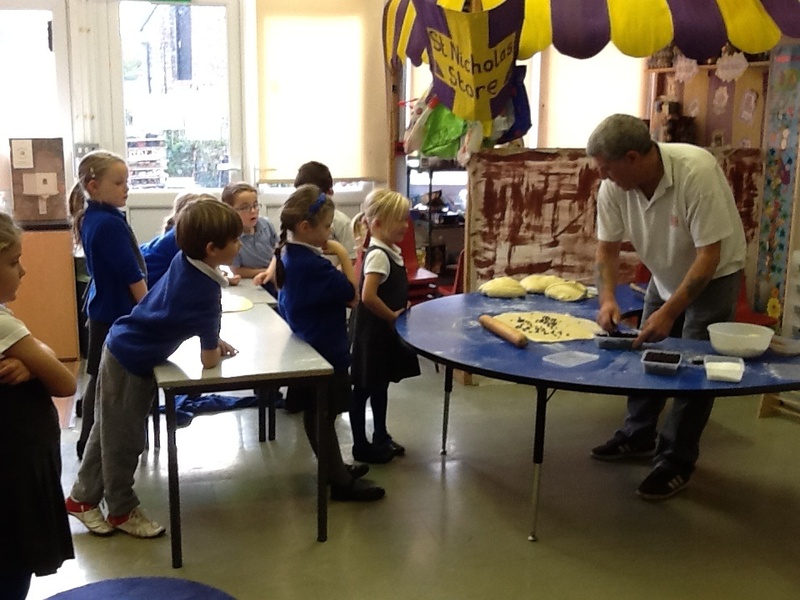 Visitors from all over the school are popping in to see what is going on. 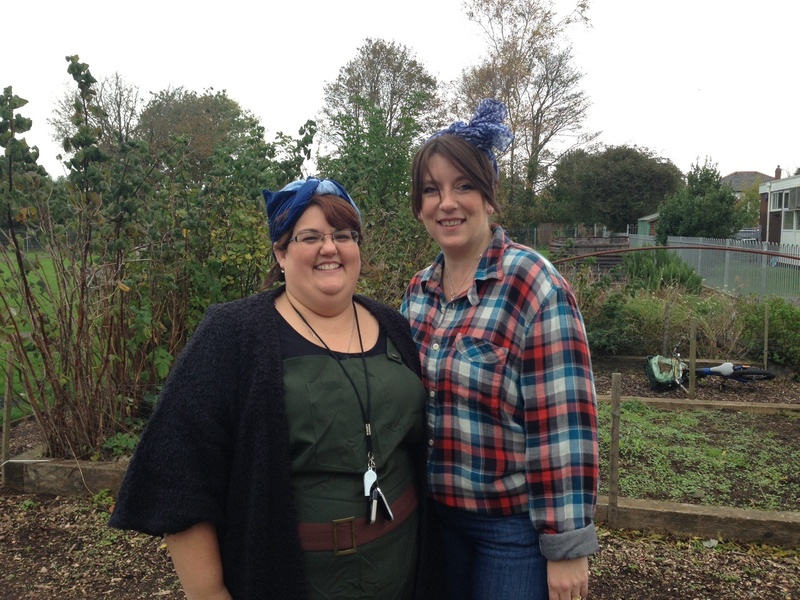 But there are no treats yet…….off to the ovens we go! 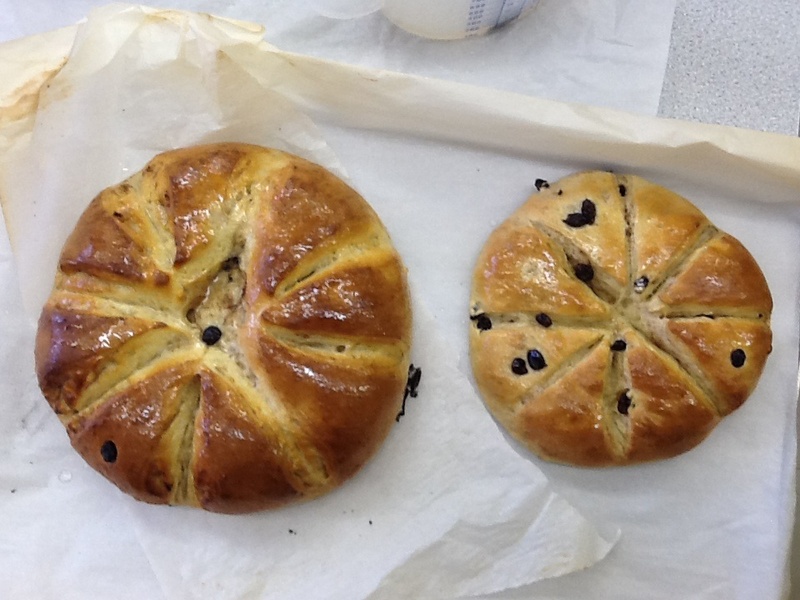 Now for our technical challenge…………Chelsea buns! 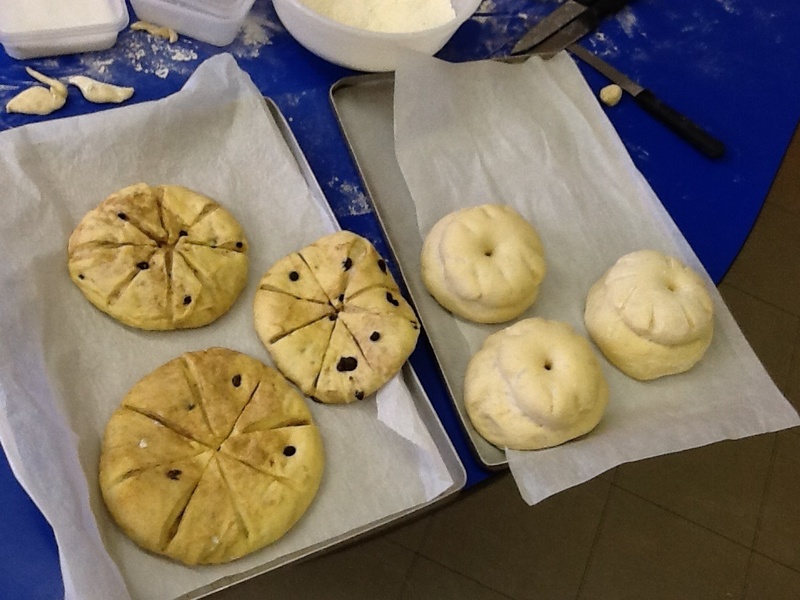 The Jolly baker demonstrated how to make a Chelsea bun. We worked in teams for this one. Many hands make light work. There were lots of jobs to do. 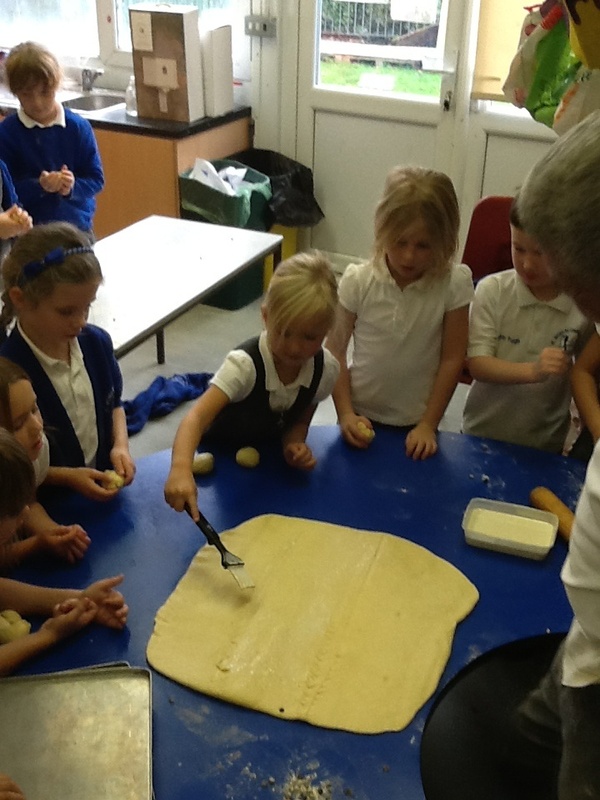 Rolling out the dough, painting on the fat, sprinkling the currants, sugar and mixed spice. All before rolling the dough back int a sausage and cutting it into slices. Phew…….exhausting!